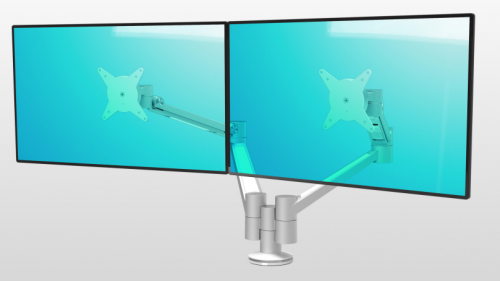 The next generation of monitor arm has arrived. 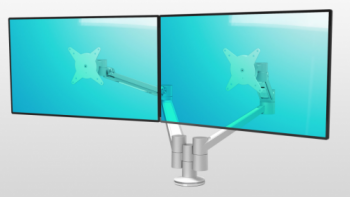 Savoy, winner of a "red dot design award - honourable mention 2012" and an "iF product design award 2013", is the world's thinnest dynamic monitor arm. Designed by Tijs Horn, Savoy features a unique patented bearing mechanism to adjust the monitor without gas or springs. 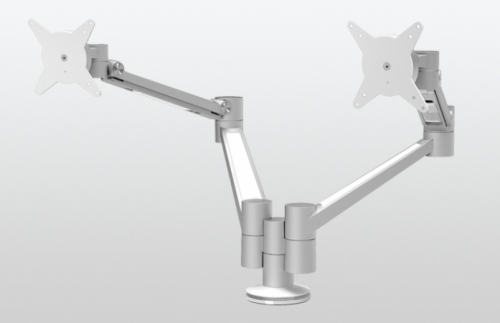 The Savoy Dual Arm features two fully articulating arms mounted on a single base. 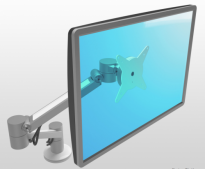 It is a dynamic and modular solution, allowing easy retrofits from a single arm. 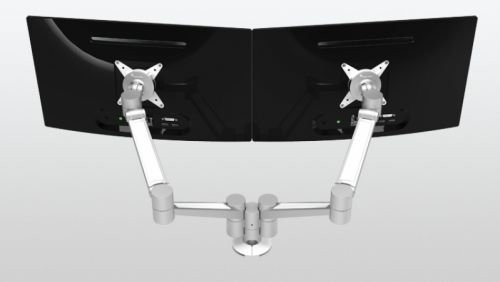 Savoy's premium aluminum finish makes it the perfect addition to any modern ergonomic office. 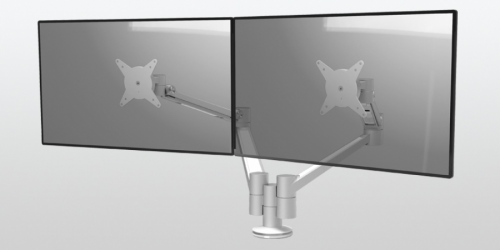 Dynamic arm height adjustment range: 9.5"